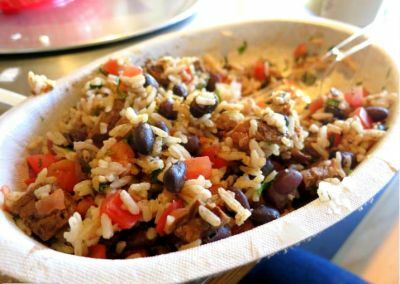 Even though this may sound like a contradiction in terms, Chipotle is a great quality, high end, Mexican fast food place. The chain has a few locations in Toronto, all of which use high quality ingredients and as much organic food as they can. 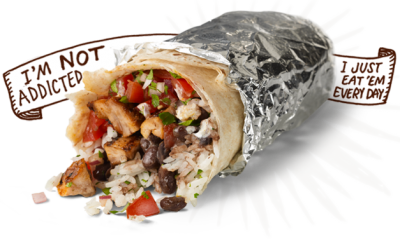 Chipotle serves up a huge array of burritos, soft tacos, hard tacos, and salads. I always get three soft tacos; one with chicken, one with beef, and one with pork, and I love them all. It costs extra to add guacamole, but I think it’s well worth it. Chipotle has a pretty slick, modern look, with clean stainless steel table tops and colourful wall art. It’s as much as you can ask for at a fast food place, and they did a decent job. The service is quick, the cost is cheap, and the food is both massive and delicious. 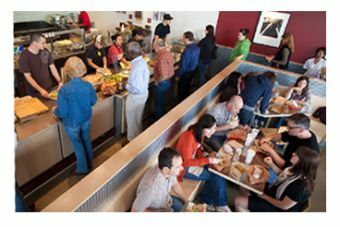 If you need a fast, fresh lunch, grab a bite at Chipotle.